...can you pepper a target with that? DeltaBravoKS, rollin thunder, Trotline and 3 others like this. Both "Assault-Style Weapon" is a term made up by the media to make people think they know what the hell they're talking about. But if you want to use the Army defined definition, here it is: By U.S. Army definition, a selective-fire rifle chambered for a cartridge of intermediate power. If applied to any semi-automatic firearm regardless of its cosmetic similarity to a true assault rifle, the term is incorrect. Assault Weapon. Any weapon used in an assault. Last edited by Divebum; 04-14-2019 at 04:15 PM. kmw1954, pegasus, taurustoter and 1 others like this. 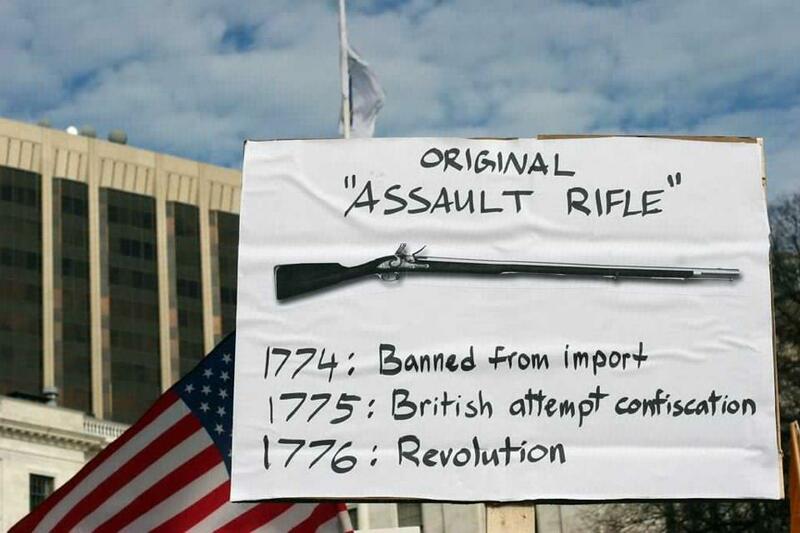 An assault style weapon is whatever the left wants it to be....prove me wrong. DeltaBravoKS, gbusmech, kmw1954 and 5 others like this. I would say, according to those who claim to be the experts and know nothing. That the AR is what they call an assault weapon. Actually... ...both more resemble an ostrich, than an assault weapon. The name has lost all meaning if it ever had any to begin with. Legend would have you believe it was Hitler that coined the term for the new (at the time) "Sturmgewehr" 44, which was a infantry rifle capable of select fire. In military terms, the "assault" always refers to the ability to go full auto. Then Armalite came on the scene and made a civilian version of the M16 that was semi auto only in the form of the AR15. As has already been pointed out, lot's of people have confused AR to mean Assault Rifle, and this is in no small part to a journalist back in the 80's who dubbed it that, and from there is spread like wild fire. At this point it's kind of like the word "ain't", yes I could actually type that and not have it underlined in red notifying me I just misspelled something because while there was a time not that long ago it was just a made up word and slang at best, it's been so widely used now it's actually been added to the English language and you can find it in Websters. And because of that, both the BAR and AR would be considered "assault rifles" at this point. Sad yes, but it is what it is. Last edited by gbusmech; 04-18-2019 at 11:35 AM. Only if you use salty language when you pull the trigger. As you're a sailor, I'm sure you know what I mean. This whole topic came up the other day as a bunch of us were sitting at the dinning room table visiting and having a good time. I do have to agree and suggest our group also had this same consensus. So because of the MSM and Politicians anything AR or AK is automatically an assault weapon. My original thought was to just post 2 pictures. One an AR15 or such and one a Browning BAR. With the sole purpose being to see how the general public would depict these two guns. I imagine the AR15 would win hands down. Even though the BAR was actually used in combat. Neither, an assault weapon is of intermediate cartridge and select fire. Good one! I had forgot about that smaller detail.